�This is Salt. He�s lots of fun. He likes to skip and jump and run. This is Pepper. She gets things done. 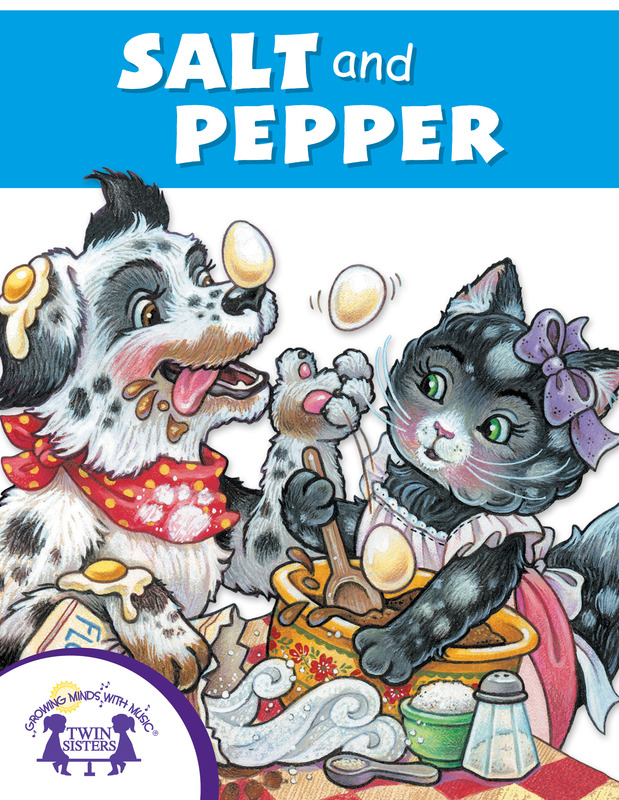 She lines her dolls up one by one.� Read along and learn about a dog named Salt, and a cat named Pepper. They are quite opposite, but learn to work together in this cute Early Reader that uses repetitive text and bright illustrations! This Level 2 Reader uses an average of 6-10 words per page, pictures that suggest meaning, and fun rhymes. �Salt and Pepper� will help children achieve reading success in and outside of the classroom while laying the foundation for a lifetime of reading enjoyment! Titles in the Early Reader Series include: Tails!, Hats! Hats! Hats!, Counting Bears, If I Had A Dinosaur, Who�s In My Tub? New Shoes, Salt and Pepper, and Wiggly Tooth.